Leavenworth 2018 - Do it, do it right now. 21 out of 30 days. 70 Percent. That's how many days it rained in Washington state this April. 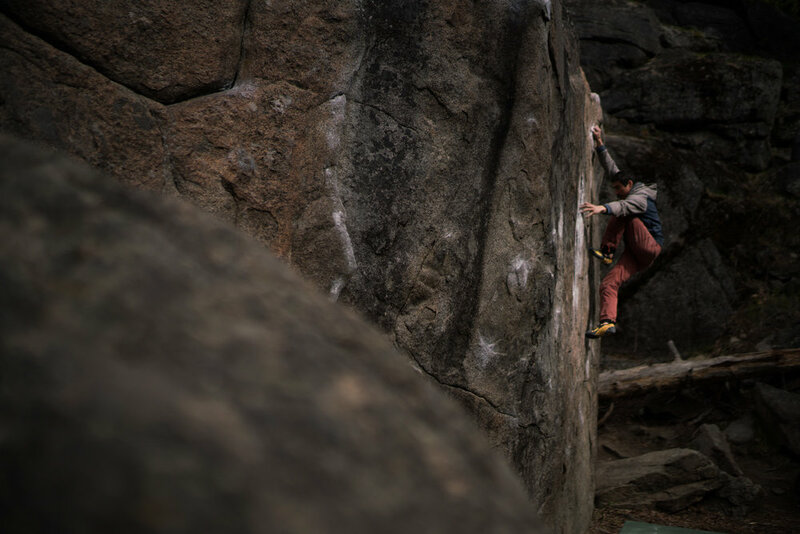 Keenan (@katakaha) planned a visit in April to sample the climbing in Leavenworth, Index and Gold Bar. Traditionally April is a fairly stable month in Washington, albeit sometimes a bit warm. Generally April marks the beginning of Spring in this state, with sunshine reappearing on the forecast, aspens sprouting green leaves, and mountain flowers blooming from the soil. That was not the case this year. We had 21 days to climb on this trip, but due to the weather we wound up touching rock on only 10 of those days. Spring-time in the Pacific Northwest. Expect anything. This led to a slightly frenzied approach to climbing. The weather didn't follow a particularly helpful pattern, choosing to rain or snow for days on end, leaving little two or three-day stints of dryness here and there. And so, when we did get a chance to climb, we were forced to go a muerte, squeezing as much in to those precious climbing days as possible. 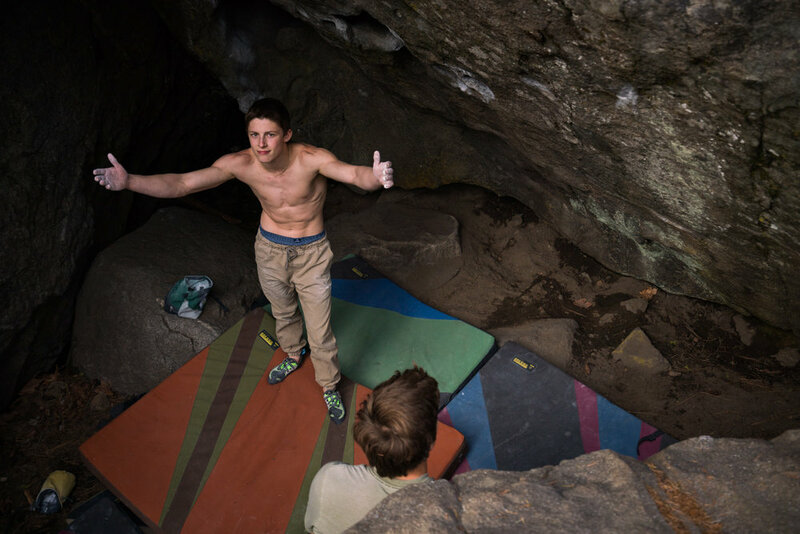 For Keenan, this meant going into a first-try mindset for every boulder problem we visited. I remember him saying something like, "You only get to try a climb for the first time once, so you might as well try to flash it." 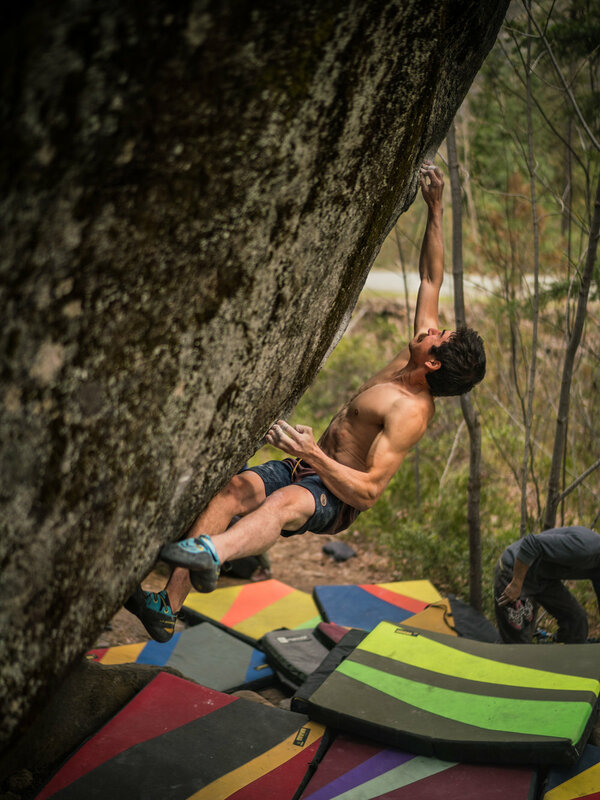 For as long as I've known him as a climber, I viewed Keenan's approach to climbing as an ongoing war of attrition. He was the type to assault a climb, putting in twenty or...fifty tries in a session. He would slowly break boulder problems down into every minute detail, and then would execute those details perfectly in order to send. This trip was a bit different. 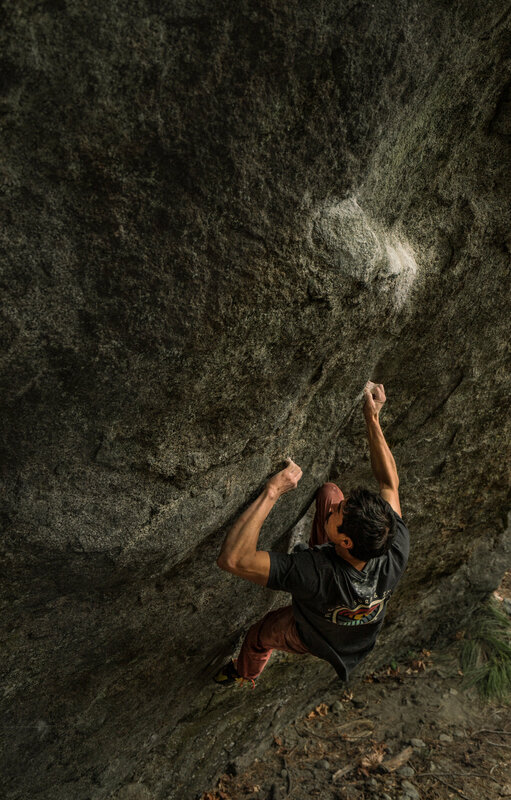 Keenan would really do his homework on a boulder problem (watching videos, asking friends for beta), and then try his damndest to execute first try. 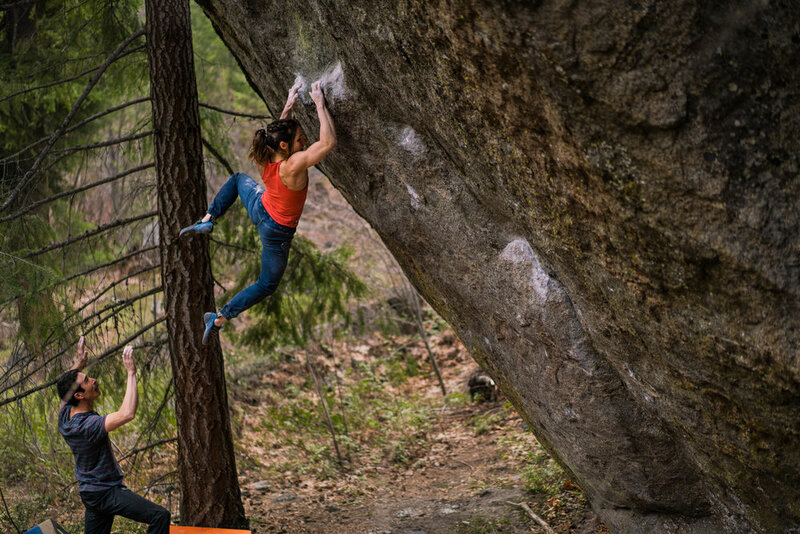 While obviously this didn't work for every boulder problem, Keenan did succeed spectacularly in a few occasions (congrats again on flashing The Tea Cup!). I think it also represented a shift in mindset for him - the idea of trying your absolute best to flash something can compel you to exert more effort than you ever thought possible. 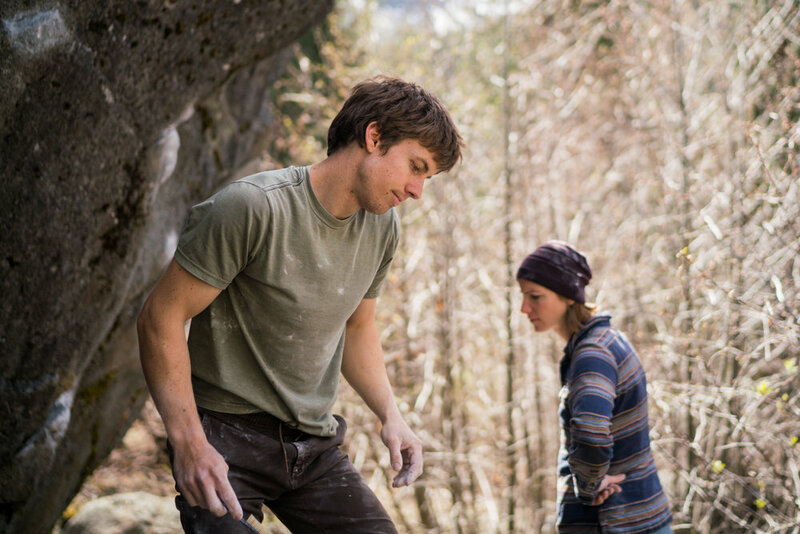 At the heart of it, that's what we're trying to do when we go bouldering - learn how to try hard. Six days. It took Keenan six days to send The Penrose Step. While that doesn't sound like a huge chunk of a three-week trip, it was a stressfully large portion of the ten climbing days we wound up getting. 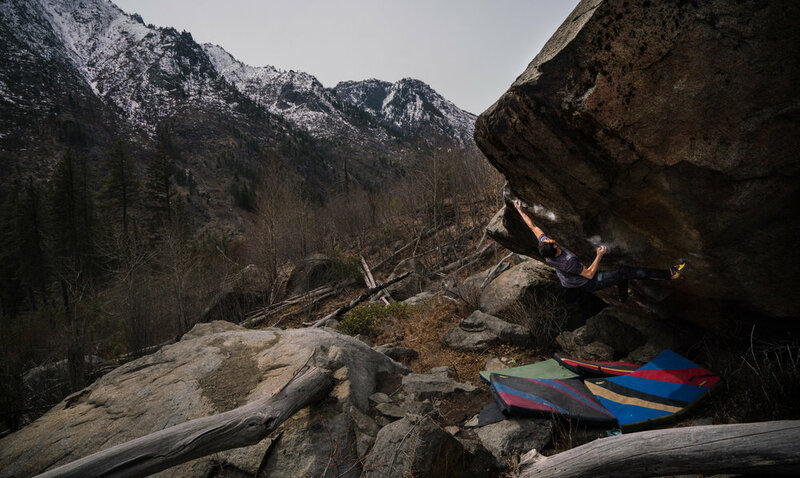 Each time a block of crappy weather would loom on the forecast, it only ratcheted up the anxiety for Keenan, making him wonder if it was even worth it to try and send this testpiece boulder problem on this particular trip. 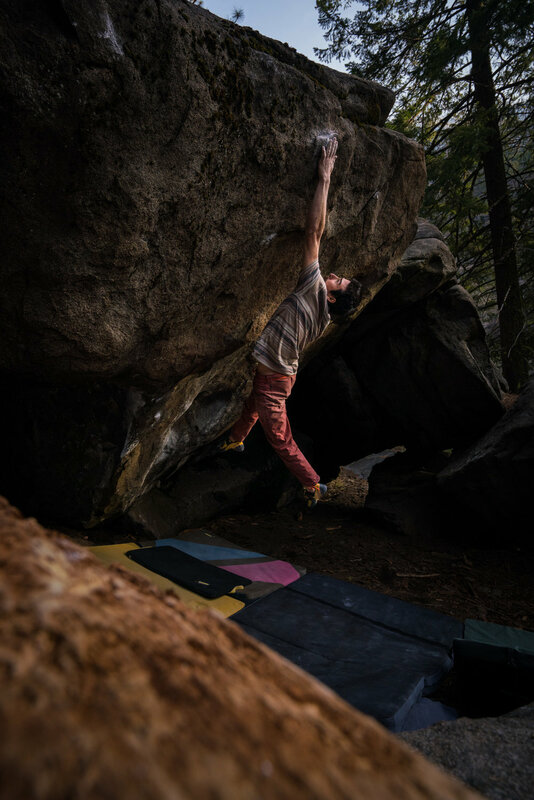 Why deprive yourself the opportunity to sample a ton of boulder problems you've never seen before? If it took three days to do all the moves, how many more would it take to send the whole thing? I remember one day - the fifth day on The Penrose Step I believe - we day-tripped out to Leavenworth from Seattle. Keenan threw himself at The Penrose Step for about four hours, making great progress but ultimately falling off the last move three times. In the process he got one of the worst finger-splits I've ever seen (it looked like he almost de-gloved his right index finger), which pretty much put a stop to climbing that day. Still, as the sun set and we packed up the pads, I could tell he was itching to climb something, anything else. "You mind if we stop by Forestland? Just...really quick. Thirty minutes. Put me on a timer." And so, after throwing pads under Mad Bush (amazing name by the way, Jimmy), I started my metaphorical timer. 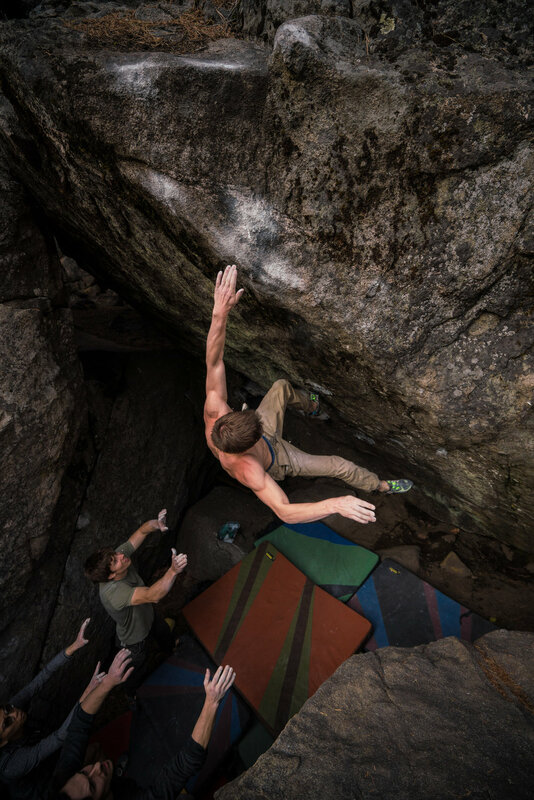 Five or six tries later, Keenan scrambled his way up another V12, shouting out "let's go get burgers!" as he topped out. This was the theme for the trip. We're here, there's this great boulder problem in front of us, the weather looks horrible, we don't have much time, just climb the damn thing. Do it now. © 2018 Kevin Takashi Smith. All Rights Reserved.